I’ve learned lots of lessons. “What does that mean?” asked one of my colleagues. Now I’ve never been accused of being the quickest with verbal responses, so I said, “Well, it means that everything…impacts…everything else.” Everyone was overwhelmed with my dramatic pauses and word addition. But now I’ve had time to think about what I should have said. 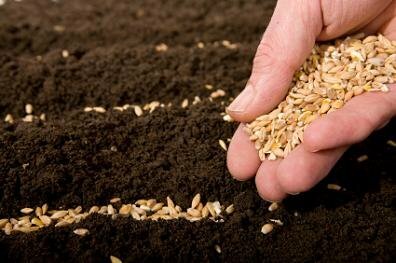 From thefreedictionary.com, I gleaned that sowing means to scatter seed over the ground for growing. The same source defines reaping as harvesting a crop. So, Paul was basically saying that the seed you spread determines the type of crop that you harvest. In other words, whatever one sows, that will he also reap. In the movie Second Hand Lions, young Walter is sent to live with his eccentric uncles Garth and Hub. Deciding to plant a garden, they purchase a variety of seeds from a travelling salesman. After preparing the soil, they plant the seeds in rows and wait patiently for their crops to produce. Even as his uncle is speaking, Walter notices that every plant on every row is almost identical. When he points it out to his uncles, they are dumbfounded. Whatever one sows, that he will also reap. Everything that we do matters. Every decision we make, every day we work late, every book we read, every cookie we sneak, every movie we watch, every sit-up we avoid, every dollar we spend, every prayer we pray (or don’t pray), every thought we have – they’re all connected. They join together to form an enormous tapestry that identifies us to the world and to ourselves. What do you want your tapestry to portray? What decisions are making that will change it’s look forever? Are you weaving something into your tapestry that you don’t want to be there? 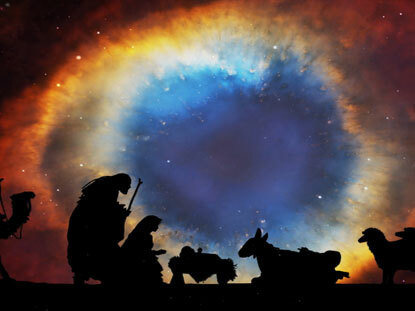 One of the most tender Christmas carols has to be Away In A Manger. The song expresses simple, childlike love for and faith in Jesus. It transports us beyond the glitz and glitter of the Christmas season and reminds us of true reason we celebrate Christmas. Away In A Manger was once titled Luther’s Cradle Hymn. It was widely thought to have been written by Martin Luther for his own children, but most scholars no longer believe this to be the case. The first two stanzas were published in the Little Children’s Book in 1885. The third was added in the early 1900’s by John T. McFarland, a Methodist minister who needed a third verse for a children’s day program at his church. The second verse of the song is considered by some as heretical because of the line “but little Lord Jesus, no crying He makes.” Proponents believe the song is claiming that Jesus was fully God but not fully man. People are certainly entitled to their opinion, but I feel like they just need to get over it. 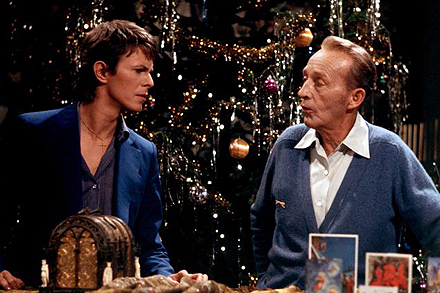 The song doesn’t claim that Baby Jesus never cried, only that the writer wasn’t envisioning Him crying for that moment in time as he (or she) pictured the scene of the nativity. I love Thee, Lord Jesus! Look down from the sky, and stay by my cradle till morning is nigh. He died on a cross to atone for our sin, and rose from the dead to be alive again. O please, wondrous Jesus, be with us today, fill us with Your spirit, we now humbly pray. 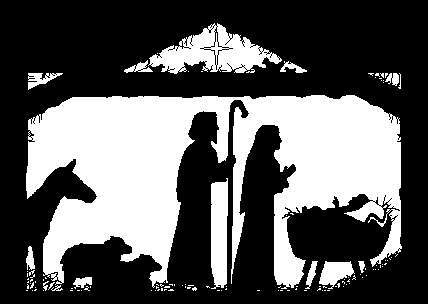 God bless you all (even if you don’t like Away In A Manger) and Merry Christmas.